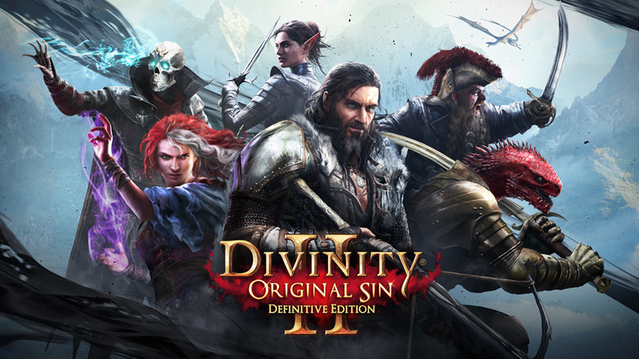 Divinity: Original Sin II - Defintiive Edition is finally launching for consoles (and updating on PC) on August 31. A couple of weeks ago we learned a little more about the scope of the Definitive Edition changes via the game's Kickstarter page, and it seems to be quite a massive update indeed. While the Definitive Edition is not really being pushed as a content pack and more of a systems and mechanics overhaul, we're excited to see new dialogue, battles, and quests as well as exploring the game again in the new Story Mode difficulty. 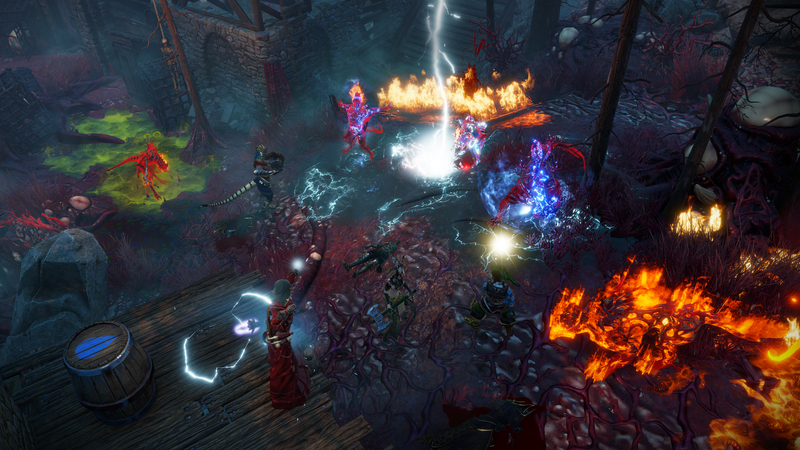 At E3 2018, we had a chance to talk to Larian Publishing Director Micheal Douse about bringing the 2017 RPG of the Year contender to Playstation 4 and Xbox One, and also about the partnership with Bandai Namco for this project. 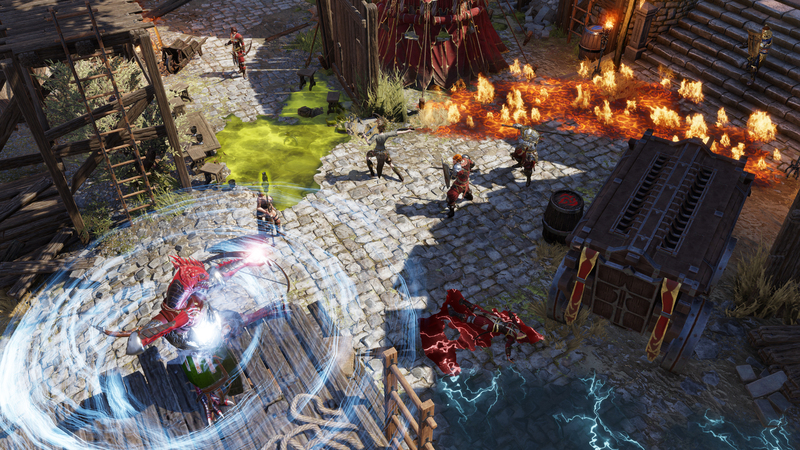 RPG Site: Why is Divinity: Original Sin II a fit for Bandai Namco to publish on consoles? Michael Douse: While Namco didn't publish Original Sin I, they do have experience working with games like Witcher 2 and Dark Souls, games that are also very much their own things. Just like those games, we saw this an opportunity to bring those experiences to more people, even though it might be slightly unfamiliar to Namco's usual catalog. RPG Site: When I personally sit down to play an (isometric) game like Divinity, I feel most comfortable with a mouse and keyboard. For a console version, not only do you play with a controller, but also on a larger screen from further away. What changes have been made in the Definitive Edition with respect to how the game looks and plays with this in mind? 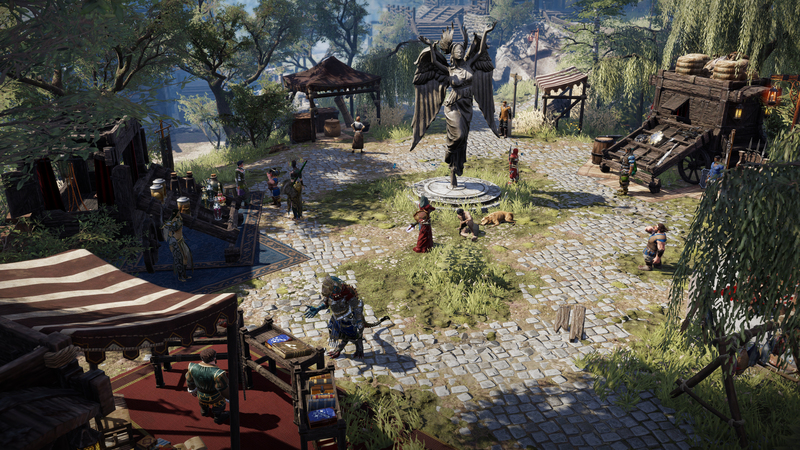 Michael Douse: Well, when the game launched on PC, you could already play with a controller on a couch, so a lot of the things are actually the same, but we've made them better. For instance, the Definitive Edition will include the Party Inventory system, which will allow players to manage their party from one screen instead of having to move from character to character. RPG Site: So visually it looks the same? Micheal Douse: Right. One of the other ones we wanted to fix was the Journal system. We have a completely remade journal. On PC, let's call the journal a mess, there were a lot of words and a lot of text and it was very difficult to follow. So we rewrote the entire journal. We wanted to make it a lot easier to understand. RPG Site: So is it more task-oriented, or bulleted? The current journal oftentimes gives you hints or implies what needs to be done, without telling you what exactly needs to be done. Michael Douse: It's the same style of writing, but mainly we've made it shorter. So you don't have to read reams of text for the same amount of information. RPG Site: On PC will I be able to swap back to the old version of the journal, or is it a switchover? Michael Douse: On PC you can actually toggle between the two versions of the game completely, journal and all. RPG Site: But not on Console? Michael Douse: Correct. Unless we get a lot of feedback through tools like Game Preview, which is a great tool to have for something like this. RPG Site: I did run into Feedback Billy (an NPC) when I was playing through the game on the show floor, that's an interesting thing that I hadn't seen before. How useful has that been? Michael Douse: Well, that's because we invented it! And people engage with that more because it's fun and funny, you know? RPG Site: What was the most positive piece of feedback you've received from Feedback Billy so far? Michael Douse: The most positive feedback we've found is that people seem to enjoy the quality of the content, and feel like whatever they find in Divinity, nothing feels like filler. RPG Site: And the most negative? 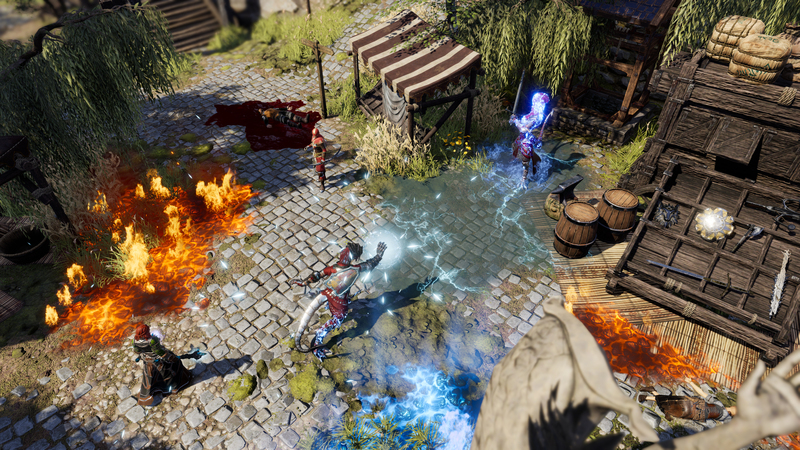 Michael Douse: We had a lot of players mention that they felt that Act II of the game had too many enemies with both physical and magical armor, and found that really frustrating so in the Definitive Edition, we've made a concentrated effort to rebalance things like that. RPG Site: One of my few personal hangups was that I felt that game, especially later on, had so many overlapping spell effects and battlefields would end up 'swampy' with fields and fire and smoke here and ice there. Is this something that's been addressed at all? Michael Douse: We didn't specifically target that issue, but we did go through every encounter in the game to try to rebalance the fights based on how players actually played each of the game's battles. We have a 'heat map' of sorts that shows us how players ended up playing the maps, and we made tweaks to every encounter to adjust for this instead of the assumptions we made about how the battles would be played. 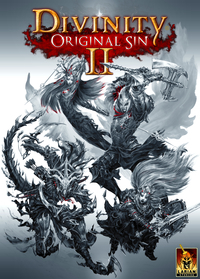 RPG Site: Original Sin I eventually saw the inclusion of new party members and the like, but in II, the party works a little bit differently. Will the Definitive Edition have any sort of content-like additions in a similar manner? Michael Douse: Not characters, but the major changes are things like Arx (a location found late in the game) which has been completely remade. We've also recorded 40,000 words of new story moments for different arcs late in the game. For instance, we didn't add new characters, but existing characters like Beast will have new story arcs, and we also have a brand new Epilogue to help wrap up everything at the end of the game. 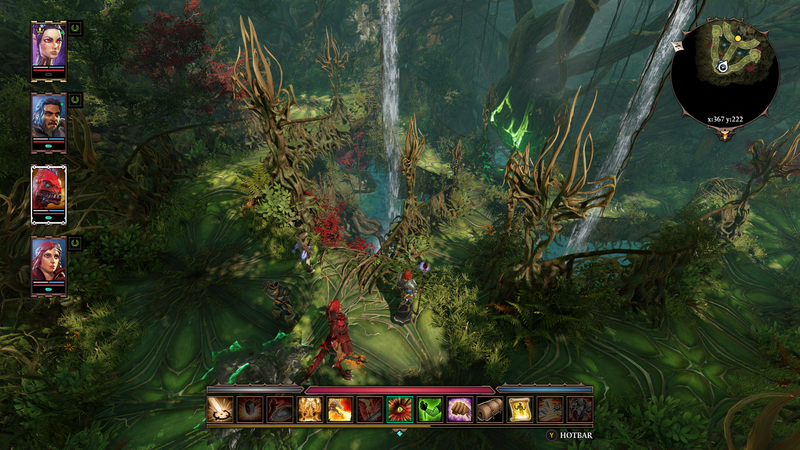 RPG Site: The way that the PC version of the game handled multiplayer was that one person acted as the host, while others would join his game, but the save file was effectively theirs. Has this changed at all moving over to consoles? Michael Douse: Well, we consider multiplayer extremely important to preserve in this game. Did you know that the creative director original developed the concept of multiplayer for Original Sin because he wanted a game to play with his girlfriend? That was the whole point! We want two people to be able to create characters together and spend 120 hours in front of the TV together. RPG Site: But the host setup is still there? Michael Douse: Yes, the host leads. We think the best way to experience the game in multiplayer is to play the game always together at the same time, characters controlled in a host's game can't be played separated from that file. RPG Site: If two players are playing on the couch together, can the two characters go to different locations on the same screen? Michael Douse: Absolutely, one person can be on one end of the map with another located at the far other end. We wanted to preserve that freedom even on a shared screen. You share a screen if close, which then dynamically splits if you're apart. 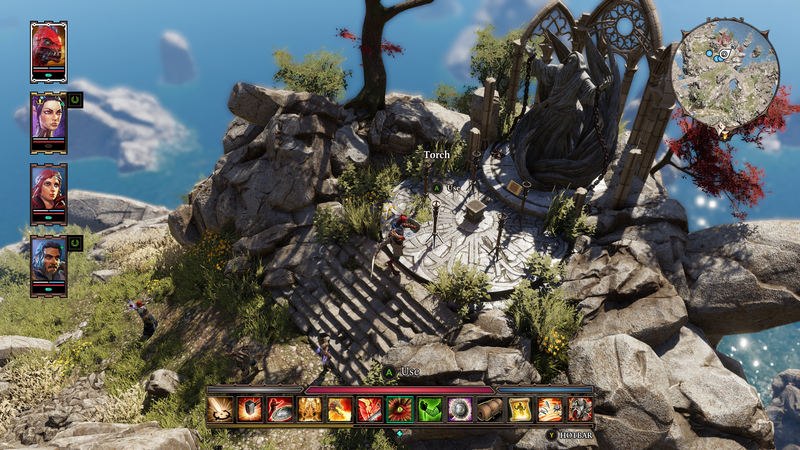 RPG Site: Does the Definitive Edition of the game make any changes to the game's difficulty? Michael Douse: Well, there's a new difficulty mode, Story Mode, which is a new mode underneath Classic. Otherwise, the content from PC to Console is exactly the same. 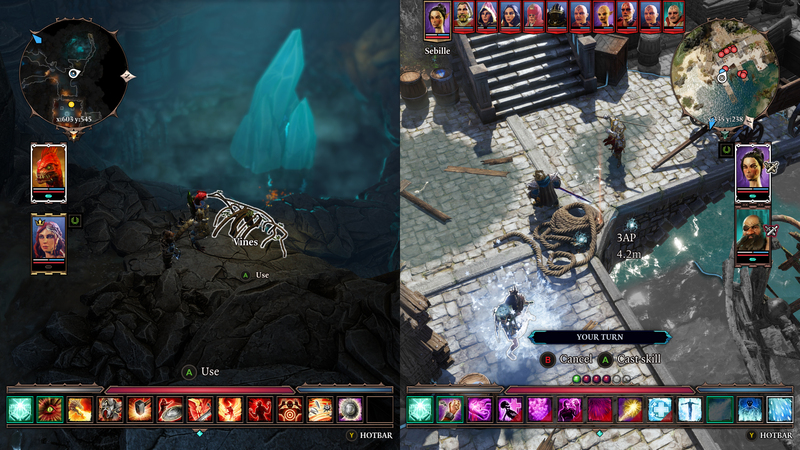 RPG Site: Will Playstation and Xbox players be able to play together in the game's multiplayer? Michael Douse: You'll have to ask Sony about that one. Right now, no. RPG Site: What about Pro or Xbox One X versions of the game. What differences will there be? Michael Douse: Both versions of the game will support HDR. The game will use dynamic 4k on Playstation Pro, and native 4k on Xbox One X.
RPG Site: Will the PC version be updated to support HDR? 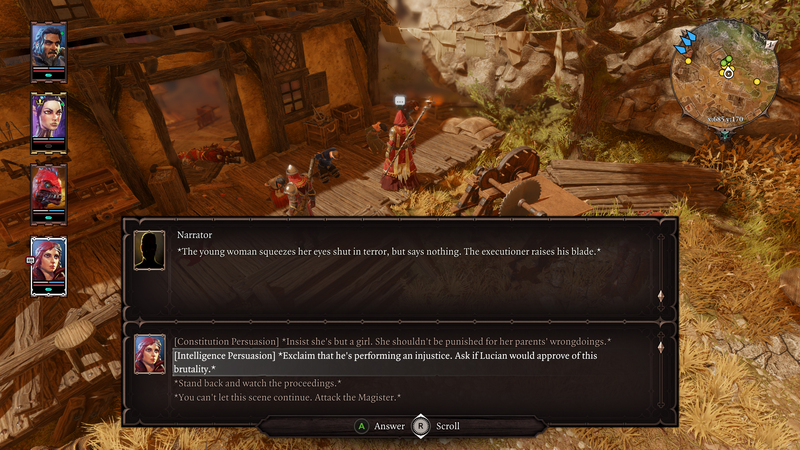 Michael Douse: Well, you'll need DirectX 12, which we're in the process of migrating to. We've also updated to a newer version of our physics engine, which in short should help out performance in some of the game's areas. As soon as we can do it, we'll do it. RPG Site: Is there anything else people looking to revisit the game should look forward to? Michael Douse: We've also added several new music tracks to the game. For instance, when on the Lady Vengeance (the game's hub / ship), the character theme that plays will adapt and change as you go through the game, based on the choices you've made. 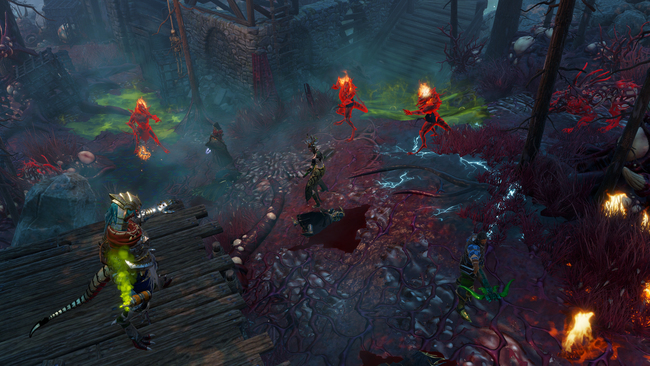 Bobby (composer Borislav Slavov) is on staff here at Larian and he's always working on adding new things to the game. I would like to thank Michael for taking the time to talk to me during a busy E3 2018! 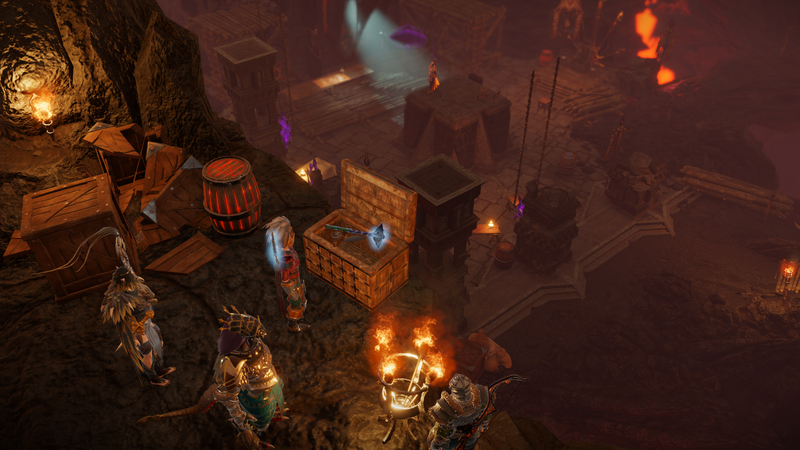 We have more news about Divinity: Original Sin II's Definitive Edition (and the review for the PC launch of the game) on the title's hub page.